The Israeli Defense Forces (IDF) launched Operation Protective Edge on July 8 in order to halt indiscriminate rocket fire from the Gaza Strip into Israel. It was eerily reminiscent of Israel’s 2012 Operation Pillar of Defense which sought to accomplish the same goal. To date, neither mission has entirely achieved its intended result; paradoxically, they have led to even greater obstacles to establishing enduring peace. 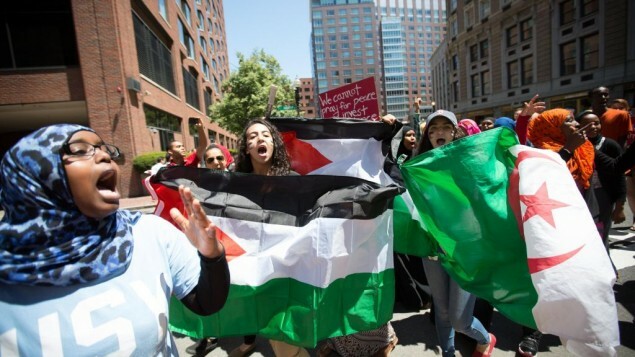 One obstacle in particular includes an increased number of calls to boycott the state of Israel for its military campaigns, leading to more widespread rallying in support of the Palestinian cause. Operation Pillar of Defense ended on November 21, 2012 with a cease-fire brokered by Egypt. There was no signed agreement between Israel and Hamas, “but solely an understanding between the two sides based on the principal of ‘quiet in exchange for quiet.”’ After eight days of fighting calm was somewhat restored to the region. Less than two years later, the barrage of rocket fire over Israeli cities has resumed in full force. Several events have led up to the current tension in Israel. Most notably was the incident in which three Israeli teens were found shot dead by Palestinian terrorists in the West Bank in late June. Shortly afterwards, in a suspected act of retaliation, three Jewish extremists in Israel were charged with “killing a Palestinian teenager who was set on fire and left in a forest.” These events sparked outrage and intense emotions, fueling what has already been a volatile situation characterized by much hostility between the two sides. To deny suffering on both sides would be misguided; instead, blame should be assigned where it is warranted. Many have pointed to Hamas as the cause for much of the deterioration in the region for refusing to welcome any advancements short of war. What differentiates the current situation from the past is the use of long-range rockets by Hamas. These rockets are thought to be Syrian M-302 rockets or a similar variation, with a range of over 110 kilometers and a much greater potential for damage. More Israeli civilians are now under threat of rocket assaults from Gaza than ever before. Even more disconcerting is that these rockets place more Israelis within Hamas’ reach without having terrorists leave their strategically located launching pads in Gaza. This amounts to an estimated 80% of the Israeli population in harms way. Israelis have defended incursions into Gaza in the name of protecting its nation’s civilians by raiding Palestinian rocket-launching sites in order to prevent further attacks. It is often the case that the IDF will caution the residents of Gaza about impending Israeli strikes in their area, either through the use of phone calls or by dropping leaflets. Despite the advanced warnings many choose not to leave, perhaps either due to instructions from Hamas or even their own personal volition. As a result many unintended victims may be caught in the crossfire, unintentionally raising the number of Palestinian casualties and leading to further condemnation from the international community. Amid this cycle of perpetual war one may wonder whether a solution is possible. Regretfully, one is not seemingly evident. The immense tension and hatred between many of those on both sides of the conflict can be felt even by others following ongoing events from their television screens thousands of miles away. Military action which seeks to neutralize terrorist hot spots while attempting to keep innocent Gazans safe may be advisable and effective in the short-term; however, over time, one may wonder how much physical confrontation may actually provide for either side and what, if any, options may be attainable. Nevertheless, there are at least three possible outcomes that may be reflected upon at the present time. This short discussion is not assuming a simplistic result to end the incredibly painful, yet enduring, conflict between both sides. Merely, it attempts to search for a cure to the affliction of war that continues to plague millions living in and concerned about the prospects for peace within the region. The ultimate hope is to avoid further clashes and perhaps reinvent a new narrative in order for both nations to someday live side by side in relative peace. Evidently, this task is easier said than done although a few points merit consideration. First, leaders from both sides must recognize as well as accept the existence of the other. The Hamas Charter has shown, however, that this is not an option. Recognition of the other does not entail a rejection of one’s own nationalistic ambitions or identity. Instead, it embraces differences between individuals and an understanding in which the other is acknowledged as important, as opposed to denying the other’s right to a valuable existence. Within such a compromise, a viable arrangement may be realistic. Without such a key first step, any sort of harmony between the Israelis and Palestinians seems distant and inconceivable. Second, in order for Israel and a future state of Palestine to come to any sort of agreement, Hamas will undoubtedly have to be replaced by a more moderate and diplomatic government. Furthermore, the heart of Hamas’ ideology, which encourages martyrdom and violence waged against Israelis in liberating Palestine, needs to go before any true negotiation can take place with the Israelis. A coalition between a new leadership in Gaza with Fatah in the West Bank may also be a possibility since unity between the two will be necessary for a Palestinian state, which would inevitably include both these areas. Lastly, there should be a common purpose to bring both sides together in dialogue to help bridge the divergence in opinions which may exist. If both sides, for example, advance the idea of a two-state solution then practical conditions should be put forth as to how this can be achieved in a way that safeguards the sovereignty of both states as well as their citizens. The first two solutions are necessary in order for any sort of meaningful change to occur, whereas the latter focuses on future steps. This leads into the rest of the discussion as to how possible change may then result on a deeper level. The objective or material conditions of the conflict may be more resistant to change on their own. However, the subjective dimensions are not fixed and may have wider implications for the region as whole. One of the many roots of the problems between the two sides may stem from such subjective phenomena which are more complex and intangible – these are inconsistent, and often contradictory, narratives. In his book, Israeli and Palestinian Narratives of Conflict: History’s Double Helix, Robert I. Rotberg describes narratives both as self-fulfilling justifications and as motivational tools. Thus, narratives may be very powerful in supporting and guarding a nation’s identity. By taking an overly simplistic and general view, one cannot deny that both sides widely disagree with the historical accounts of the other in terms of the origination and progression of the circumstances that have led up to the current political climate in Israel. These divergences have translated into physical, and often deadly, clashes. A study conducted in 2013 consisted of a joint Israeli and Palestinian research team which extensively analyzed textbooks used in both Israeli and Palestinian schools. One of their major findings was that, “Both Israeli and Palestinian books present unilateral national narratives that present the other as enemy.” This statement itself has already initiated much debate, as to how the “enemy” is perceived and how texts from both sides may differ from each other. Many have argued that textbooks of the Palestinian Authority are much more detrimental than Israeli textbooks by glorifying terrorism and violence against Jews. Nevertheless, the Israeli-Palestinian war is being fought on several fronts, including education. It becomes evident that conflicting narratives do exist in some form. In addition, they are ingrained in the mindsets of both Israelis and Palestinians from an early age and are pervasive, undoubtedly affecting individuals’ positions on the conflict later on in their lives. Controversial as it may be to some, there is a resounding aspect to this argument that illustrates the perpetual nature of the conflict at hand. Regardless of any criticisms which exist, the study above highlights an important phenomenon of how representations of the other are established and maintained; it may lead to a greater understanding of how, and if so, they may be transformed for the better. Many other studies have been conducted on this topic and have also concluded that negative representations of the other are prevalent not only in schoolbooks but also through the media and discourse in daily life. Schoolbooks may be a central starting point because of the influence that they have on the youth. Altering textbooks to emphasize peace rather than war may have an effect, albeit small, on one’s overall perspective of the conflict and of the other. Presently, a complete end to the violence on both sides unfortunately does not appear to be realistic. There are a number of complex factors which have led to the conflict in the first place. The cycle of war must be broken in order for younger generations to be able to live side by side in peace for decades to come. A further inquiry into the influence of narratives may yield valuable insights in helping to accomplish this task. There will surely remain skeptics who believe that this day will never be possible, although the alternative option of continued hostilities is simply unsustainable.